The four squads for The Cancer Research UK Boat Race 2018 have been published, with a number of returners and intriguing new faces lining up for a spot in the Blue Boats. 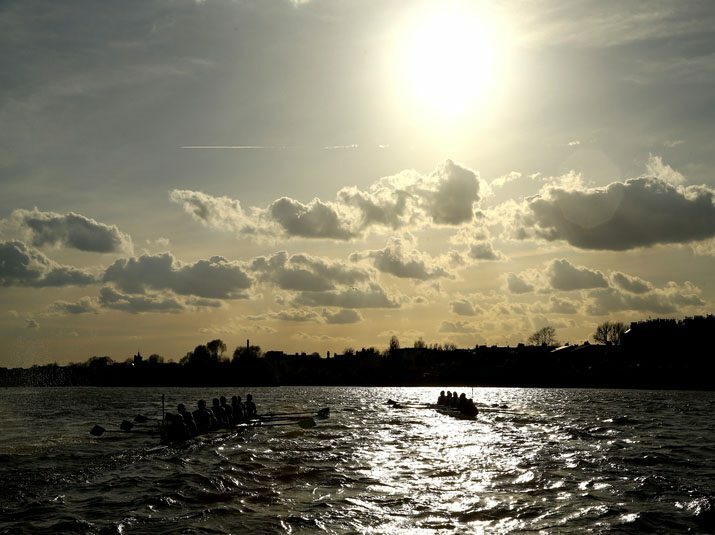 The Men’s Race will be staged for the 164th time, whilst The Women’s Race is in its fourth year on the Tideway and 73rd year overall. Katherine Erickson, who raced in Osiris in 2016, is President of Oxford University Women’s Boat Club this year. She is backed up by three returners from last year’s Blue Boat, including cox Eleanor Shearer. After the disappointing nature of last year’s defeat, Shearer will be keen to make amends in the new campaign. Oxford also have two athletes from Osiris to further improve the level of understanding and experience within the squad. American athlete Morgan McGovern also joins the fold; she finished fifth in the lightweight quads at the 2016 world championships. Rachel Anderson, who competed for Oxford as a lightweight in 2017, makes the step up to the open-weight squad, which will be under the watchful eye of former Isis coach, Andy Nelder. Oxford University Women’s Squad are represented by 6 nationalities: British, Australian, American, Dutch, Finnish and New Zealand. The oldest member of the squad (Sarah Payne Riches) is 40 years old whilst the youngest member of the squad (Matilda Edwards) is 19. Cambridge University Women’s Boat Club were victors in their first Boat Race on the Tideway in 2017, and are boosted by the return of Daphne Martschenko. She last competed in The Boat Race in 2016, and leads Cambridge as President of the squad this year. She is supported by a wealth of Boat Race experience throughout the club, including returners from last season. Alice Whit and Imogen Grant join Myriam Goudet from last year’s winning crew, whilst Thea Zabell comes back into the fold after racing for the Blue Boat in 2016. To further strengthen their claim, Cambridge are boosted by the addition of Olivia Coffey, who was the American Olympic Spare in 2016. She was also a world champion in the quad in 2015 and has an impressive collection of international silverware. The Cambridge University Women’s Squad is represented by 5 nationalities: American, Irish, British, German and New Zealand. The oldest athlete in the squad (Myriam Goudet) is 29 years old whilst the youngest athlete (Clare Pearson) is 18. Oxford University Boat Club will be led by former Isis oarsman Iain Mandale. The 24-year-old took a year away from Oxford after three consecutive victories in the reserve crew, but is back as President of the club this year. He is backed up by Vassilis Ragoussis, who stroked the winning Oxford crew last year. Former junior international and Boat Race winner Will Geffen also returns to the squad, having last competed in 2015. Oxford have three returners from the victorious Isis crew in 2017, including former lightweight world champion Class Mertens. Oxford University Men’s Squad are represented by 8 nationalities: German, British, South African, Australian, Italian, Canadian, American and Greek. The oldest member of the squad (Christian Coester) is 28 whilst the youngest member of the squad (Tobias Schroder) is 18.